An absolute stunning record from an equally stunning musical artist. 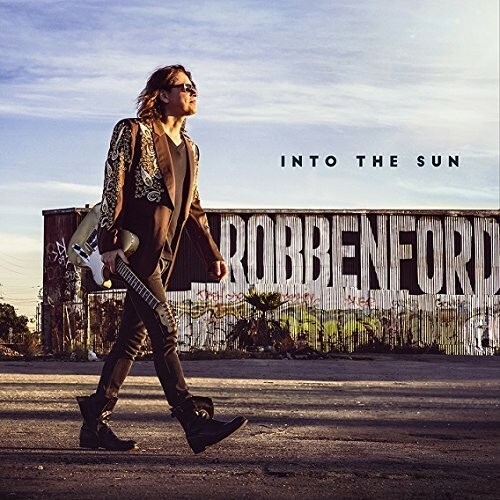 Now if you are looking for a set of music that can be described as both pure electric Blues and emotional Soul, then look no further than 'Into The Sun' from Robben Ford. A brilliant and long standing American Blues musician, Ford has played on many albums with many legendary musicians but you would be forgiven if his name doesn't pop out at you immediately. Despite the fact he has been nominated for Grammys five times, he is an unassuming man that just loves to write songs and play the Blues! Ford is very comfortable in a variety of music styles, yet his first love is those emotion-filled Blues and Soul excursions that hit straight in the middle of music lovers' hearts. '...Sun' finds Ford going back to the purity of his first love, the electric Blues; simple, soulful and both his vocals and especially his guitar skills just brim with emotion. I know, I've mentioned emotion several times but it is just astounding what sounds he is able to create with his guitar, sounds that pull at your very strings of your soul. This album will certainly move you – each song is an expression within itself, regardless as to who Ford has asked to perform on it. He has asked many artists to share his heartfelt songs; Ford sharing with them his high talents and they in turn relishing in the opportunity to stretch their own extensive abilities! Listening to this man's fret-work will just astonish... then listen to his song-writing skills – he lives at a level that very few can. Both areas of skill may be awesome, yet the musician himself comes across very humble... and I wouldn't be surprised to see Ford busking on a street corner, just for the opportunity to uplift those of us passing by! '...Sun' is an immersive, master-class exercise in pure Blues and Soul performed superbly, yet humbly – a musical sea of Soul-drenched Blues if you will. His guitar is an extension of his soul! As mentioned, he is comfortable in almost any musical style and on some selections one can hear those various styles creeping in. Now, with that said, don't for a minute, think that Ford is all over the map on this recording – he is not. This is a Blues-based piece of work, an album that just grooves along and creates an immersive tapestry of sound! At one point in his career, Robben Ford was noted to be among the best guitarists in the twentieth century, I would like to say that that should be extended to the twenty-first century as well! 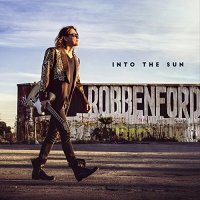 'Into The Sun' – an absolute stunning record from an equally stunning musical artist!